Introduced at a young age, fishing was not only a life style of Captain Randy, but a passion. 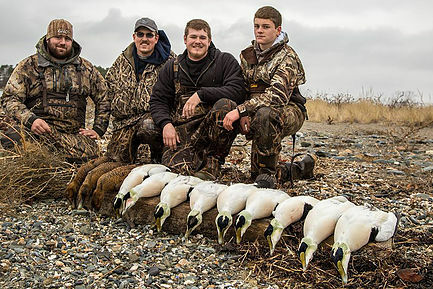 With a lifelong experience on the ocean with his father, the original Cod Father, as well as some good times with good friends, he recognized that this passion for the ocean could be turned into something more. USCG Licensed, insured and over 15 years of experience on the water. Randy operates a 23 foot Parker Center Console powered by a 225 HP Yamaha and equipped with up-to-date electronics and all required USCG safety equipment. The vessel provides plenty of room for your fishing experience up to 5 people. Bait, rods and tackle is all included and provided on your trip. An added amenity includes filleting at no cost, complements of the captain. Families, children, first time anglers as well as seasoned ''pros'' welcome! You do not need a fishing license as you are covered under the captain. Alcoholic beverages are permitted-please drink responsibly - No drugs or illegal substances permitted. Charters include full days, half days, and custom hours at your request. What do you want to target? 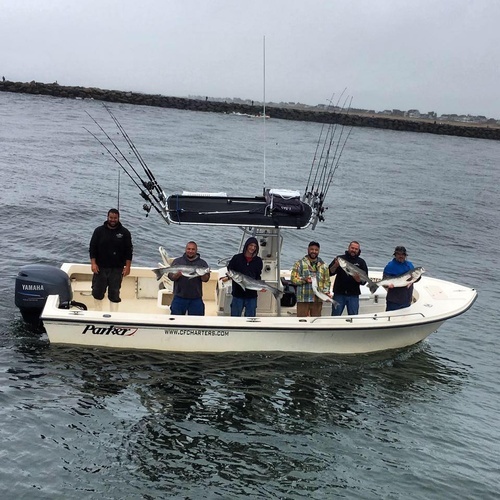 We guide for Striped Bass, Blue Fish, Codfish, Haddock, Sharks and even Giant Blue Fin Tuna! Thank you to Randy Drago for the great time fishing today with cod father fishing charters! Weather wasn't great but you still got us fish and we had a great time doing it! We can't wait to plan our next trip! Anyone looking for a private fishing charter that's relaxed and fun should set one up with cod fathers fishing! Thanks again! -Jill C.